Propeller Munich Style Dark Lager features deep mahogany hues with a clean lager nose. The flavours are rich and malty, accompanied by traditional German Noble hops gently asserting themselves while balancing the malt profile. This beer features a roundness and cleanness inspired by the lager yeast with a slight hint of chocolate in the finish. The long aging period and low bitterness make this brew very smooth and drinkable. 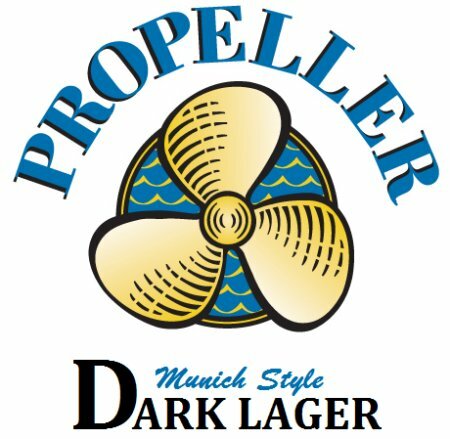 Propeller Munich Style Dark Lager will be available on starting Thursday March 1st exclusively in growlers at the brewery’s Prop Shop retail store while supplies last. The One-Hit Wonder Series will continue with a new beer released around the beginning of each month until early summer, after which it will be put on hiatus to allow Propeller to concentrate on demand for their core brands during the summer season.